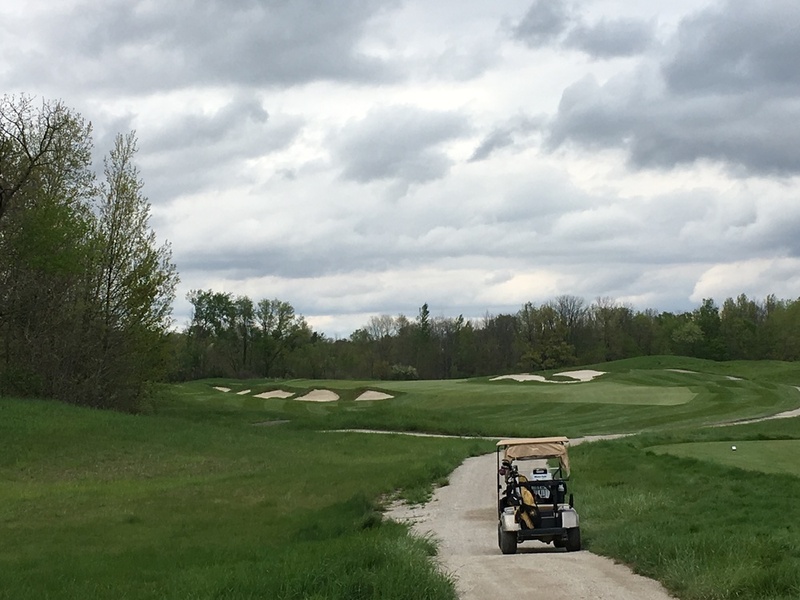 Nestled in the farmland just north of Indianapolis lies one of the world's toughest golf courses, Wolf Run Golf Club, measuring over 7,400 yards with a course rating of 77 and a slope of 149. 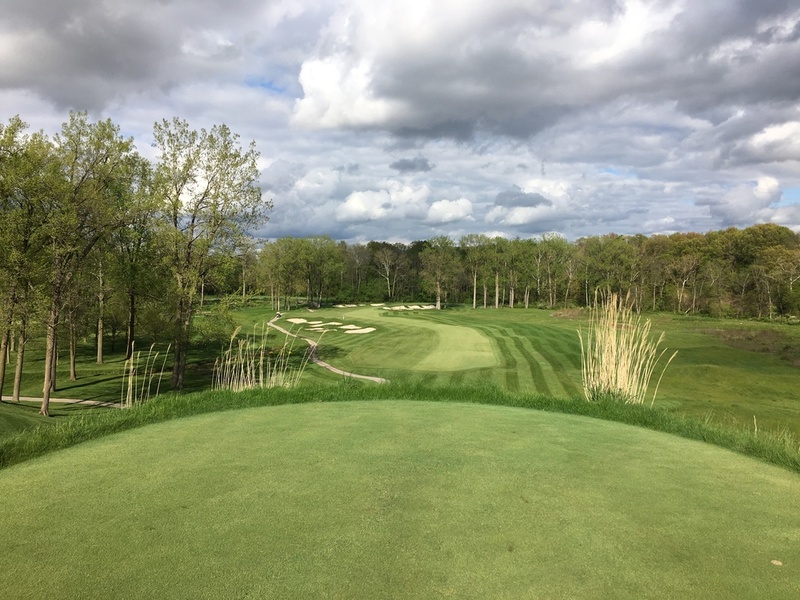 Not for the faint of heart, Wolf Run was designed by Steve Smyers and is full of demanding shots that force players to hit the ball in the right place or pay the price. 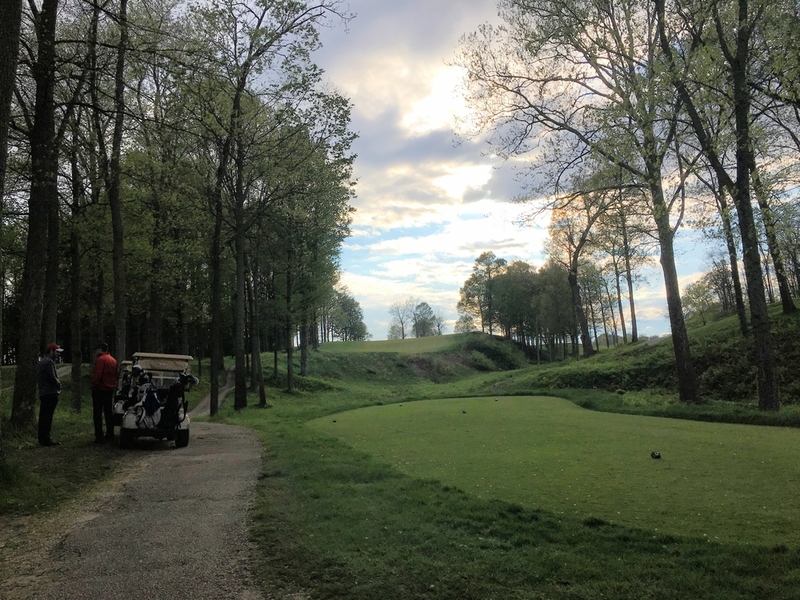 For a low handicapper, a round at Wolf Run is a joy, challenging your shot-making skills with a variety of holes unmatched by any track. The course is long and penal and if your driver is off expect to lose some tee shots. At the end of the day, Wolf Run is one of the most unique and challenging setups I have every encountered. Wolf Run opens with a bang with the 1st tee shot. The par 3, 2nd requires a strong approach to a two-tiered green. The tee shot at the long par 5 3rd. A look back at the 5th. The approach to the difficult par 4 8th. Looking back from the 8th green. The demanding tee shot at the 9th. A good tee shot leaves this tough approach at 9. 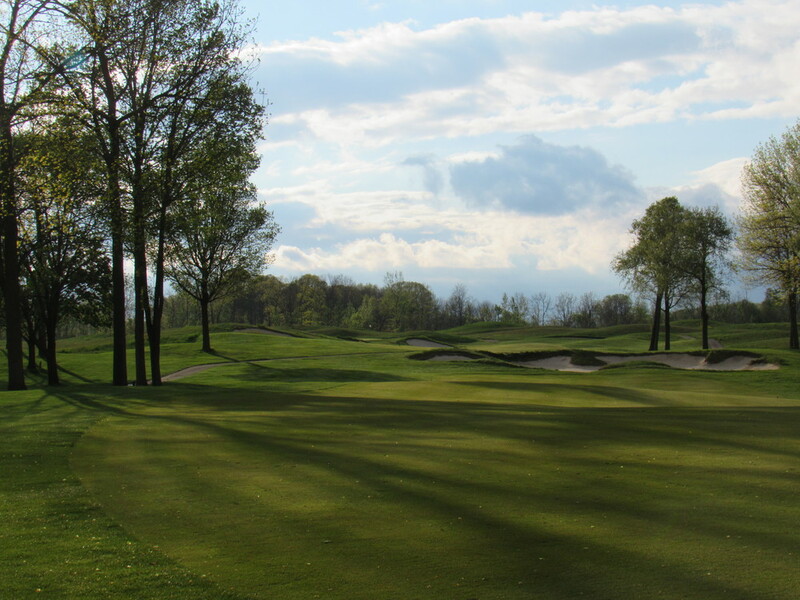 The tee shot at 10 makes a player choose right or left because of the cross bunkers. The tee shot at the par 4 11th. The tee shot at the par 4 12th. The beast of a par 3 13th. Measures 247 from the back tee. Tee shot on the dogleg right par 4 14th. 15 is another dogleg that turns left requiring a right to left tee shot. The short but demanding 16th, a tiny target that from 140 yards. The par 5 17th, an uphill tee shot gives players a chance to get 1 back. The well protected 17th green.